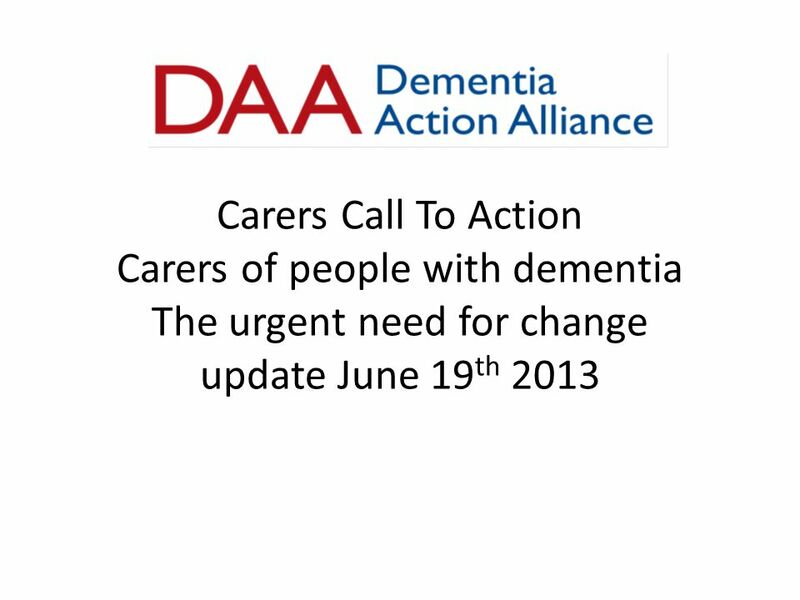 Carers Call To Action Carers of people with dementia The urgent need for change update June 19 th 2013. 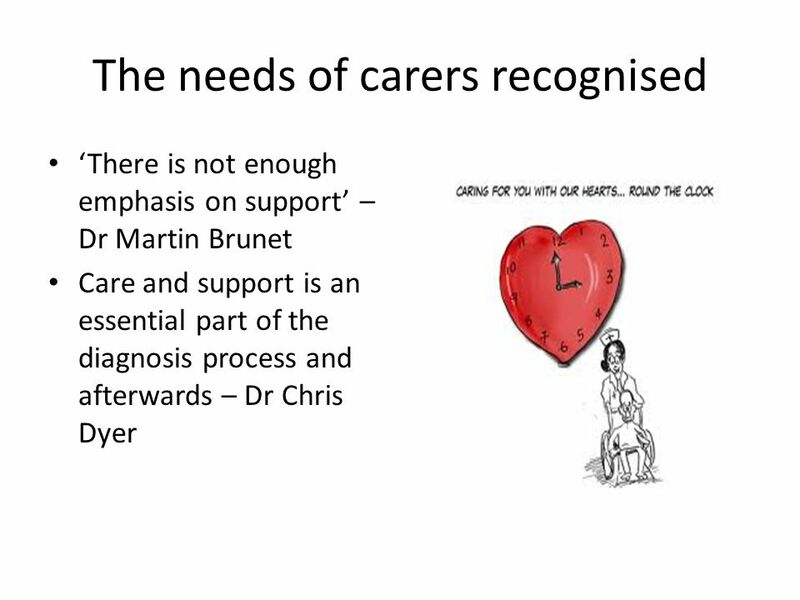 Download ppt "Carers Call To Action Carers of people with dementia The urgent need for change update June 19 th 2013." Live Music Now was founded by Yehudi Menuhin and Founder Chairman Ian Stouzker, with the inspiration that by embracing the power of music to transform. 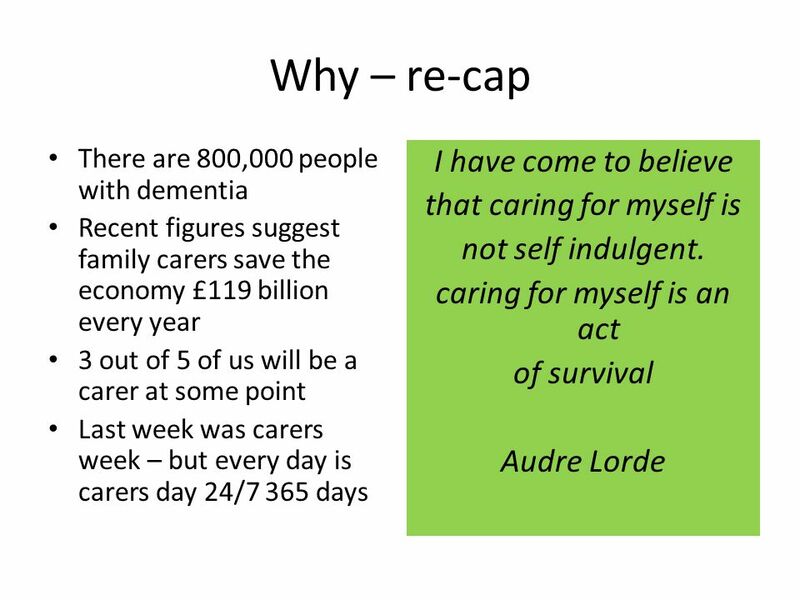 Personalisation & CQC Or What have I learned from TLAP? Andrea Sutcliffe, Chief Executive, SCIE 25 th September 2013. 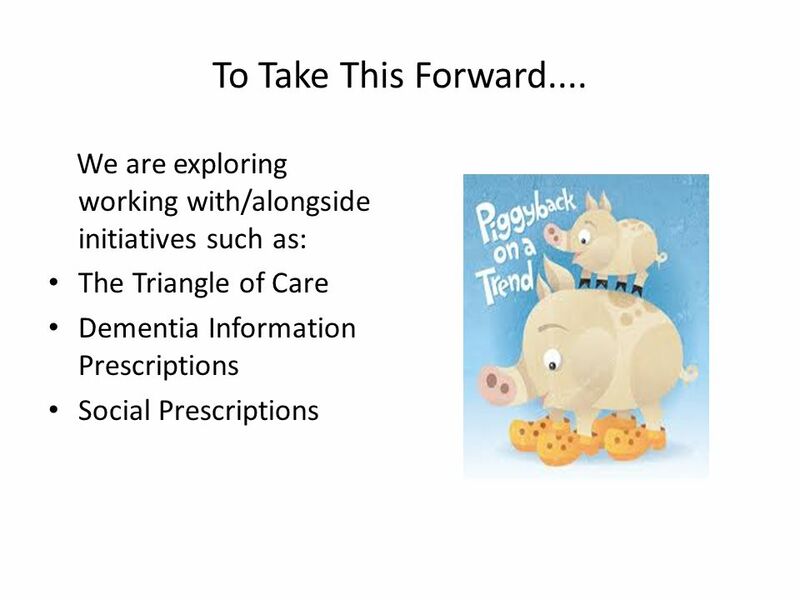 Everybody’s Business Integrated mental health services for older adults A service development guide. 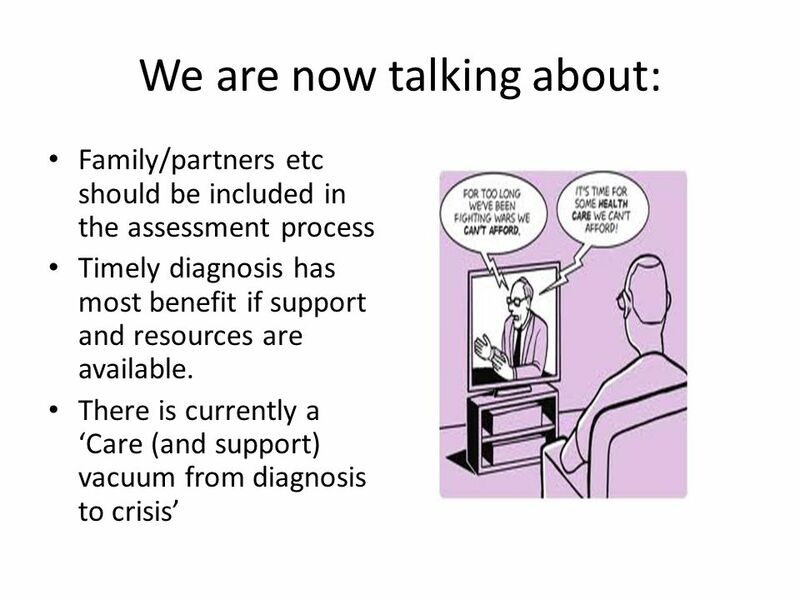 What next for End-of-Life Care? 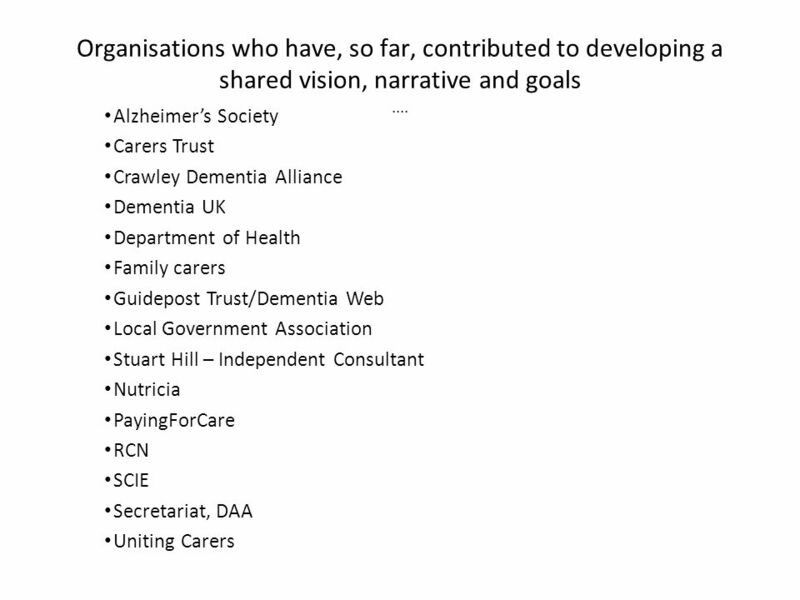 A set of 26 “I” statements developed by people who use services, carers and citizens supporting organisations to move towards more personalised and community. 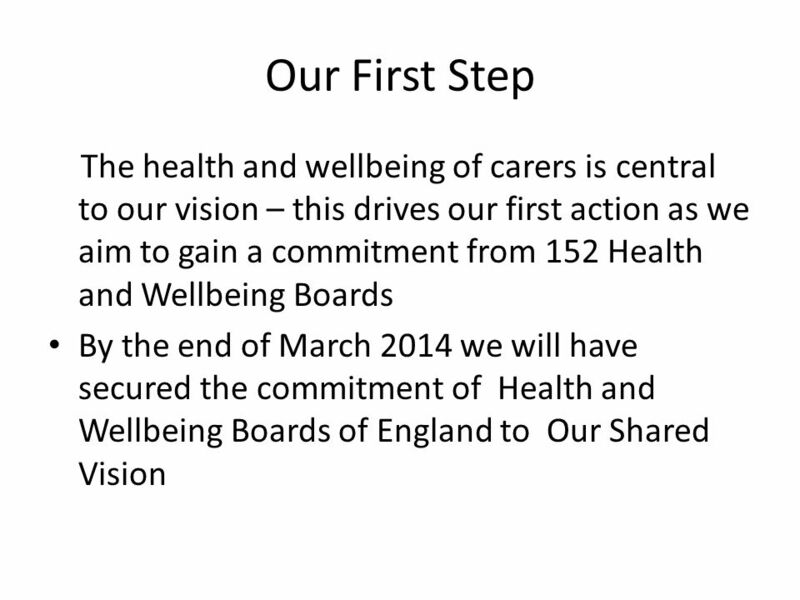 Personal health budgets Standard presentation updated November 2012 Add your local NHS branding and content. 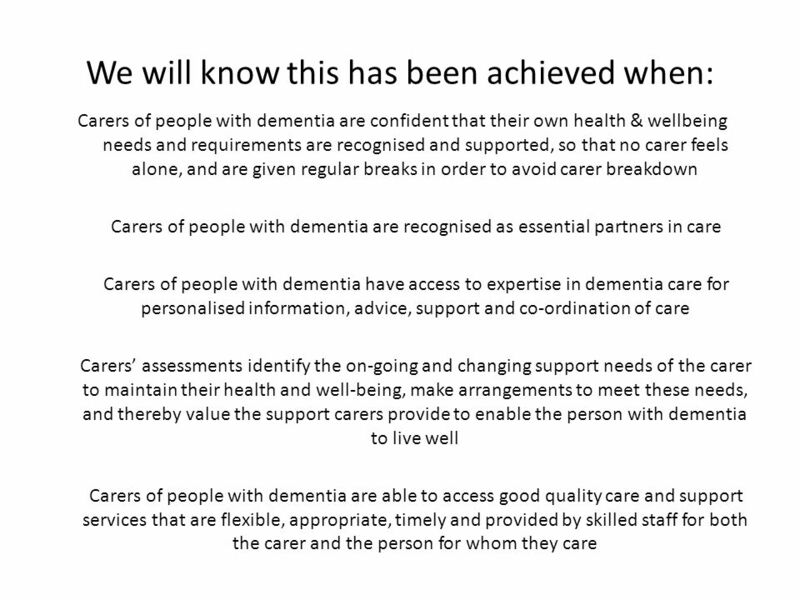 Dundee Dementia Information Service Maureen Hood Library and Information Officer. 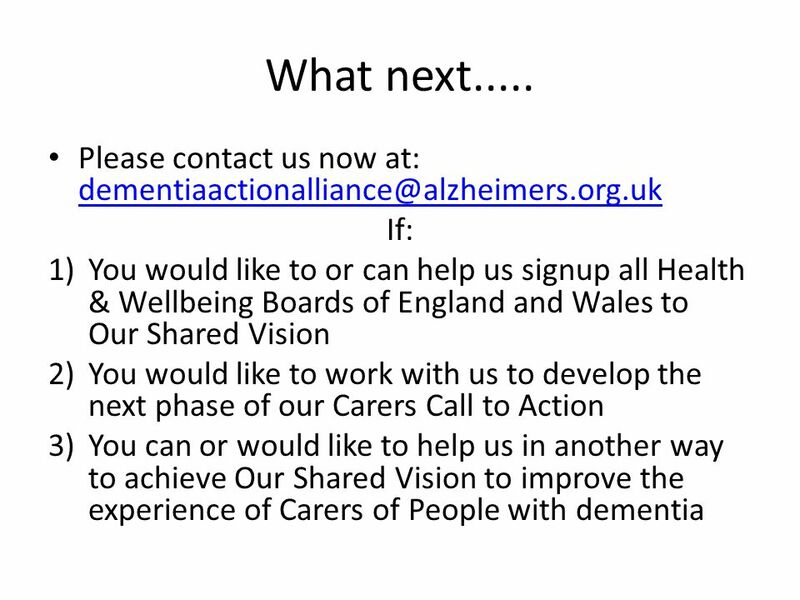 Carers Call to Action. Who is involved? 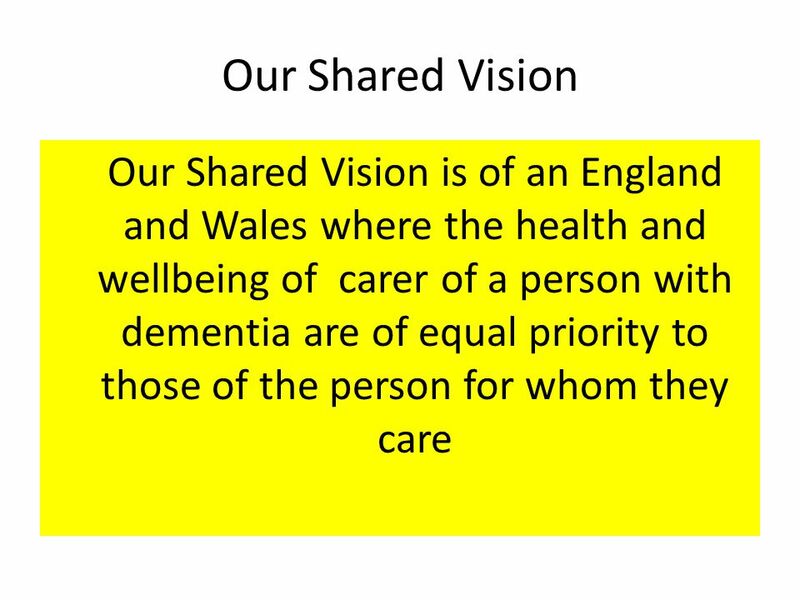 NHS Institute for Innovation and Improvement Department of Health Carers Trust Uniting Carers, Dementia UK Local.